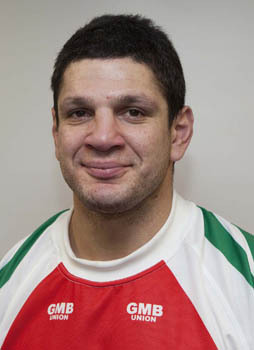 Australia-born Michael Korkidas was brought to England by Wakefield Wildcats in 2002 from Sydney Roosters. He quickly adapted to the English game and, in his three years at Belle Vue, established himself in the Super League.Gentle giant â€˜Korkyâ€™ weighed in with 11 tries in his 109 games for the Wildcats, earning him a move to Salford City Reds in 2006. He didnâ€™t stay at the Willows for long though, playing just 27 games before moving to Castleford Tigers.After suffering relegation with the Tigers, Huddersfield Giants brought Korkidas back to Yorkshire for the start of the 2009 season.Although he is Sydney-born, Korkidas plays for Greece with former Giants George Gatis and John Skandalis. He captained the country in 2006 during a 44-26 victory over Serbia.